Wrestlemania 33 took place in Orlando, FL this year and set record attendance for the Citrus Bowl with over 75,000 people crammed into the stadium. It was a monumental event of magnificent proportions, and quite frankly the longest ramp I’ve ever seen, even for ‘Mania. It seems the length of the ramp was a precursor to how long the actual event would last. In a record-setting five and a half hours for the main show (7 and a half if you include the Kick-Off) this has to go down as the longest Wrestlemania in history. If not, it sure felt like it. It’s odd to me that massive anniversary events like Wrestlemanias 10, 20 and 30 were not nearly as epic as this one. 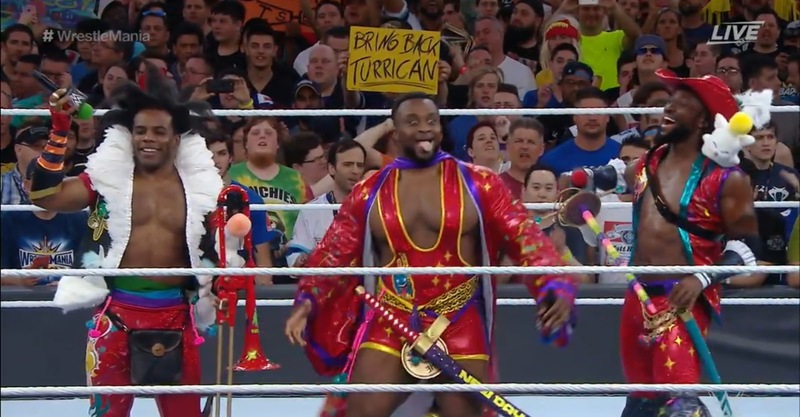 Whereas none of those really delivered as they should have, this one, in my opinion, will go down as one of the best Wrestlemanias in history. Even if some of the results were questionable. Regardless of the length of the event, or the outcomes of certain matches, it was, by and large, an enjoyable evening of watching great wrestling matches with some friends for me. Chris, Justin, Allen and I came together once again for a live viewing of Wrestlemania this year recording our commentary while streaming for the world to see. It’s rare I get to enjoy the company of others during my wrestling Pay-Per-View watching as I don’t really know anyone close to me that likes wrestling. 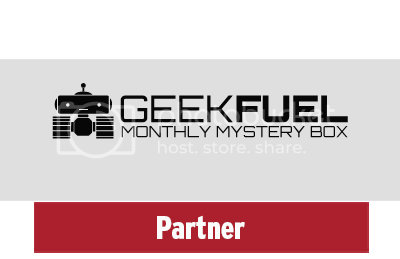 So doing 1-2-3 Podcast for these bigger events is always a joy. It’s fun interacting with others as you watch the event unfold. And this was no different. We went live as the show went live, making our predictions before things got started, and watching each match with bated breath to see if we were right. Most of the time we were. So I guess in that way it was a bit predictable, but it didn’t feel in this instance to take away from the spectacle of it all. Personally, I missed most of the Kick-Off show, so I didn’t get to see Neville vs. Austin Aries for the Cruiserweight title or the Andre the Giant Memorial Battle Royal. I saw most of the Dean Ambrose/Baron Corbin match for the Intercontinental title, except the finish. I still wonder why that title and those superstars got cut from the main show where they were supposed to be. That made little sense to me and I felt bad for both performers because of it. They did get to do the lead-in match, though, and it was a great match as well. I also missed the opening ceremonies with America the Beautiful and so forth, and sadly due to internet outages I missed the Hall of Fame recap, most of the John Cena/Nikki Bella vs. Miz/Maryse match, and (thankfully) some of the ad spots and video packages in between a few matches. But I did see the bulk of the show. One thing I appreciate about this Wrestlemania was that it was almost all about the in-ring action. Too often it’s about special guest spots, promos, gags and backstage scenes. We see that week-in/week-out on Raw and Smackdown (especially Raw). And while I did think The New Day could have done more as hosts, I liked the fact that this event showcased action above all else. This was the culmination of a year’s worth of feuds, and the time for talking was over. The WWE finally got that and they delivered in that respect. We did get one music break late in the evening with Pitbull, Flo-Rida and some others, but it didn’t last too long and was upbeat and at a good time to take a pause, get a snack or whatever, and refresh for the closing matches. So as we got into the actual card we had 10 matches left (after the 3 from the Kick-Off show). This was one heck of a match to kick off the main card. Shane is not a regular performer, but when he does wrestle he shines as bright as the best of them. And AJ Styles is, well, phenomenal. This match showcased the best of both men with Shane demonstrating his actual wrestling skills. There was one point where Shane transitioned between 3-4 submissions holds in one exchange. It was a thing of beauty to watch. And Shane kicking out of the Styles Clash showed he’s a real threat. AJ did what AJ does best and threw everything at Shane. From high-flying moves to vicious fists to a solid technical game, AJ showed exactly why he is phenomenal. This had to end here and it had to end this way. Kevin Owens has showed from day one he can’t be trusted, yet Jericho trusted him. The seeds had been planted months ago that Owens was tiring of Jericho and would eventually turn on him. Jericho cost Owens the Universal Title and now the two faced off for Jericho’s US Title. It was a back and forth match that saw Owens steal the Walls of Jericho and the two counter everything the other threw at them. In the end, it was the Kevin Owens Show as it always was when it boils down to it. Honestly, I was more enthralled with our special guest for the match, though, Choo Choo Charlie! This is the wrestling name Chris’ 3-year old son Tommy went by through the duration of this match. He wouldn’t answer to any other name, told people to go away because he was doing this show, and challenged us at times. Choo Choo Charlie is a force to be reckoned with… and a hilarious addition to our live commentary that completely took my focus away from the match! Unfortunately, this is one of the matches where my internet gave out. I saw the opening and up to the three teaming up on Nia Jax before Charlotte took out Bayley to try to squash Sasha. When it came back on it was in the closing moment where Bayley got the pinfall and retained her title. Before the show started, everyone in our live chat was saying the Hardy Boyz were returning tonight. We had all heard the rumors, but you never know how these things are going to play out. They could have debuted on Raw, or it could have not worked out at all. As everyone makes their way to the ring (including the kilt wearing Sheamus and Cesaro) and are about ready to throw down, The New Day comes out and says there’s another team added to this match. Now, we already knew this was a ladder match, the signature of the Hardys, so it was a no-brainer really. And sure enough out came Matt and Jeff to chants of DELETE, BROTHER NERO, and so forth. While they were not the Broken characters they had been portraying in other federations, it was obvious that phenomena made its way to the WWE Universe regardless. It was a typical ladder match with all the spots you’d expect. There was a point we joked that Cesaro was literally just kneeling outside watching all the action waiting for his cue, and it was painfully obvious. But all in all, it was a great match with a lot of intense action. Matt pulled down the titles for the win. As soon as this match started my internet went out and it didn’t come back in until Triple H was in the ring waiting for Seth Rollins to show up for the next match on the card. So I missed all the action and the proposal that followed. I went back and watched the match today as I was writing this piece to share my opinions and because like a train wreck, I had to see what happened. I have to say a couple of things now that I’ve seen it. First, Miz carried that match. He beat Cena from pillar to post and the fans ate it up. He showed his true mettle in this match. Unfortunately, Super Cena and Super Nikki came in and delivered their finishers out of nowhere. Well, that’s not entirely true. Honestly, Nikki won that match, John just happened to pop in to deliver a 5-Knuckle Shuffle and AA while Nikki did her thing and pinned Maryse. The Miz is highly underrated, though, and that shone through here. As for the proposal, all joking aside, having watched a good amount of Total Divas, I have to say that it was an emotional exchange, and I’m honestly happy for them. It was sweet. As Seth said on Monday Night Raw, this match was about redemption. Seth had a huge hulking skeleton in his closet, and thorn in his side in the form of Triple H. This was a battle Seth needed to win, and win he did. It was a hard-fought match that saw Rollins pushed to his limits, taking knee shot after knee shot. In storyline, he had been injured and had recently had surgery, hence the “non-sanctioned” aspect of this match. And Triple H took full advantage of this. Now, there was one point in the match where the two were on the floor, Triple H holding Seth in a submission hold. Seth starts pulling cables and chairs out from under the ring, half-heartedly and weakly tossing them at Triple H. he then grabs a sledgehammer and basically slides it to Triple H. It was so obvious and totally took you out of the match for a second. Then Triple H spots it of course and becomes entranced with it. Soon after Seth would attempt to use it on Triple H, but Stephanie interfered and got accidentally put through a table by her husband for the trouble. In the end, it was a lot of back and forth and near Pedigrees by both men, ultimately seeing Seth Rollins come out on top. This was an… interesting match. First, I have to say that the effects the WWE used this year were pretty cool. As Randy walked down that long ramp to the ring, a giant snake slithered at The Viper’s feet. It was pretty cool. 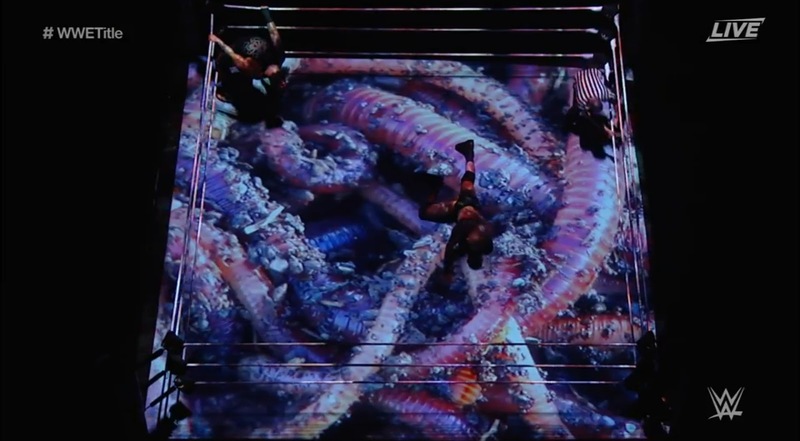 Then during the match every time Bray would go into the corner and do his bending over backwards thing different creepy crawlies appeared digitally all over the mat. It was a fun thing to do for a match like this that supposedly tapped into the supernatural. In the end, Orton bested Wyatt with a signature RKO for the win. So we all knew going in that Lesnar had to win this one. I wasn’t nearly as upset by this as Chris who seems to be done for now with wrestling. I like the fact that up until now, Goldberg decimated Lesnar. And even though Lesnar got the drop on him delivering 10 German Suplexes, Goldberg still popped right back up and delivered spear after spear and a Jackhammer. Now, granted, these two only did signature and finishing moves. It’s funny that people (including myself) complain about Roman Reigns and John Cena because of their (very) limited move sets, but these two do very little as well. Goldberg used to do a lot more, but these two brutes basically just did their two best moves over and over again to each other. Sure, the spear outside through the barricade was cool, but it was still just another spear. 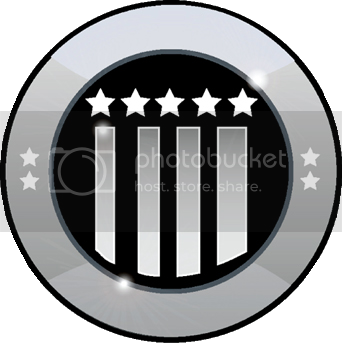 Ultimately, I still enjoyed the match and am fine with the outcome. I fear this is the end of Goldberg in a wrestling ring, but I sincerely hope I’m wrong. Supposedly, this is the match that bumped Ambrose and Corbin’s match to the Kick-Off. Was it worth it? Absolutely not. I like a few of the competitors, and I was personally rooting for Naomi to win even though I predicted Mickie. So I’m glad for the result, but it really was a throwaway match to be honest. This is the one that honestly shocked me the most. I thought for certain that Undertaker would retire with only one Wrestlemania defeat under his belt, that to the beast, Brock Lesnar. I couldn’t imagine Roman Reigns being at that level, even though I like the guy and think he has a lot of potential. And let’s face it, if he hadn’t been the one to win the Royal Rumble Daniel Bryan got tossed out early during, Reigns likely would not have the heat he does now with the fans. Because of that, he became another Cena. But like Cena, he seems unbeatable. He felled the Dead Man, despite a few botches and the fact that he too only used his handful of patented moves, namely a lot of Superman Punches and some spears. 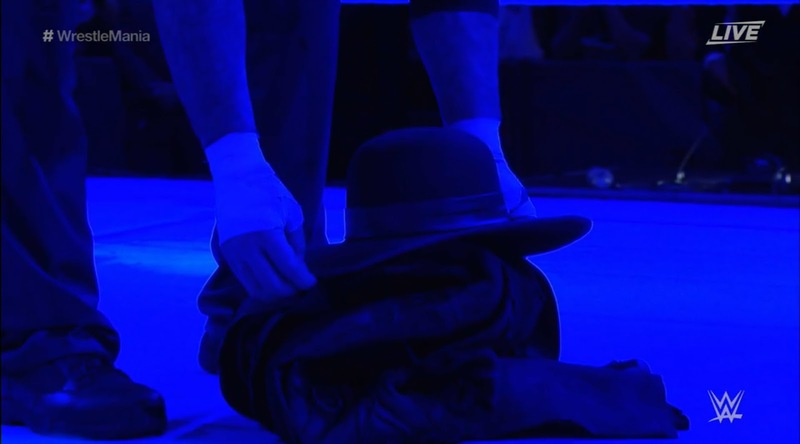 After the match ended, The Undertaker suspiciously put his coat and hat back on. He stood in the middle of the ring for a while looking around before proceeding to remove said hat and coat as well as his gloves and place them in a pile in the center of the ring. He then walked away, stopped on the spot of the ramp he rose out of during his entrance, threw his arm in the air as he was known to do, then faded out of sight back down the hydraulic under the ramp, supposedly and apparently done for good this time. It was a hard and emotional thing to behold after his illustrious career spanning over three decades. At the end of the night, the four of us agreed unanimously that despite any problems we had with the event, we would all give it 8 out of 10 stars. 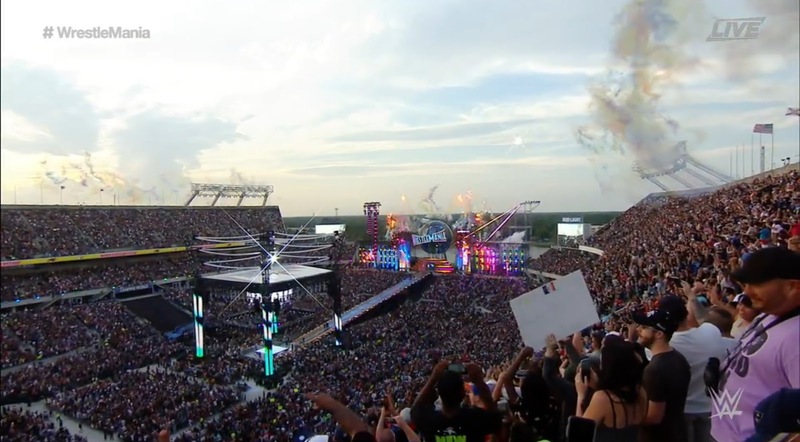 It was a very good Wrestlemania, probably the best we’ve seen in years. I know that’s true for me. It was one of the best cards top to bottom we’ve had in awhile. And as I said earlier, the focus on action really set the bar high going forward. I was exhausted, ready to crash and saddened by the end of an era, but I thoroughly enjoyed Wrestlemania 33. There were a couple of surprises, there were a couple of disappointments, but there was a lot of fun and entertaining matches making for a wonderful experience overall. The one missing factor was Samoa Joe. He was sadly nowhere to be found, and that seems both like a missed opportunity and discredit to Samoa Joe. Maybe there was a reason for it, and maybe it’ll play into Raw tonight. Speaking of Raw, I can’t wait to see how things reset and where they go from here. It’s going to be a fun night likely full of more surprises. If you missed Wrestlemania, I recommend checking it out on the WWE Network. It’s well worth the watch! 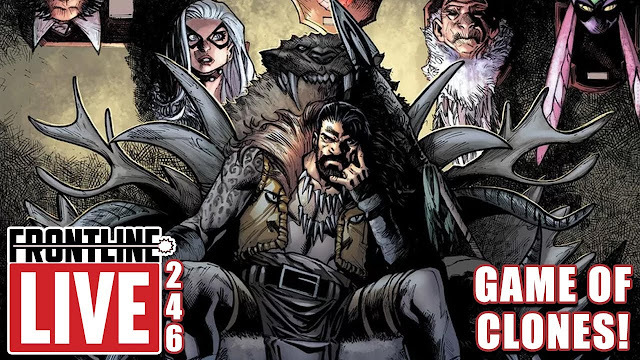 And if you want to check out a cool wrestling comic with super powers watch this!